For this A2 card I started with White card stock for the base of the card. I took a piece of green patterned paper, inked the edges with Bundled Sage distress ink and added that to the card. 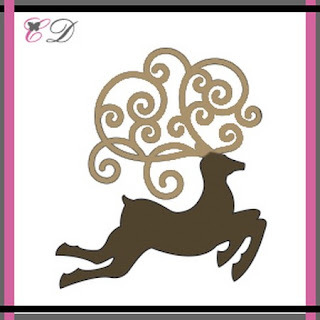 I took Brown paper and the Exclusive Scrolly Deer die and cut out reindeer. 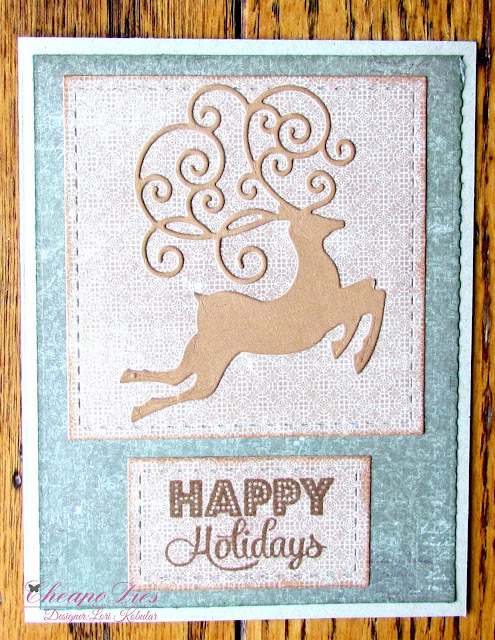 I mounted the deer onto some brown patterned paper, inked the edges with Tea Dye distress ink and added that to the card. I took the sentiment stamp, some brown ink and some more of the patterned paper and stamped the sentiment onto the paper, inked the edges with Tea Dye distress ink and then added that to the card underneath the deer.